The iPad 2 is slowly being fleshed out and the latest rumor, while it should be filed alongside the claim Elvis made a cameo in Home Alone, is actually believable. 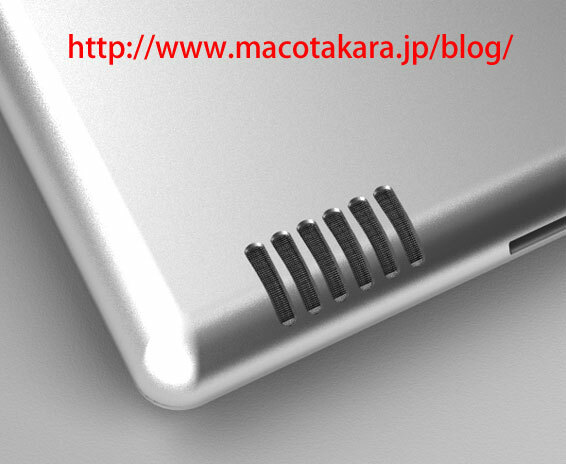 This comes from an unnamed Chinese source by way of the Japanese site Macotakara who states the iPad 2 will get a large speaker on the backpanel like the mock-up shows above. But also the second generation iPad will sport the same size screen as the current, but the bezel will be 3mm smaller. The backplate is also said to be flat, rather than convex like the current model, which should allow for much easier use when it’s flat on a table. Both parts to this rumor seem to match up nicely — perhaps too nicely — with the leaked gel case and back surface from a few weeks ago. There the skin is nearly the same size and there’s a nice spot for the speaker on the bottom.